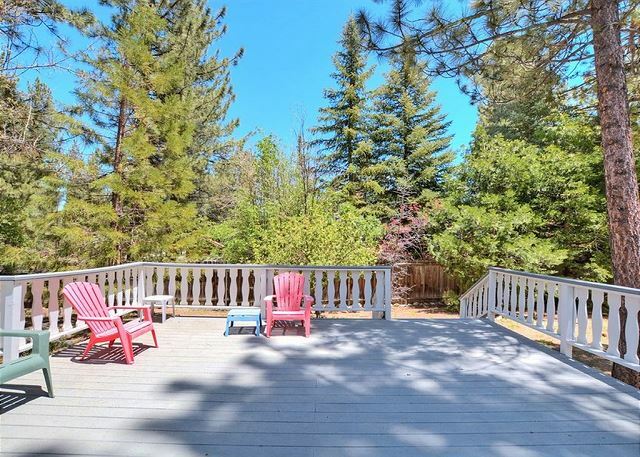 CLOSE to SLOPES, LAKE & VILLAGE & Marina Park. 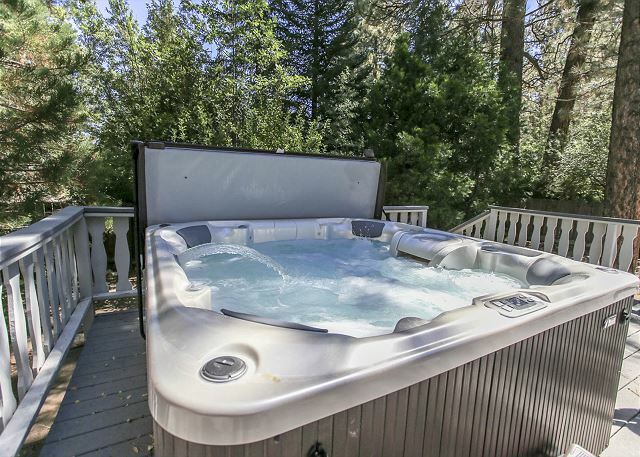 Sleeps 11 NEW HOT TUB! 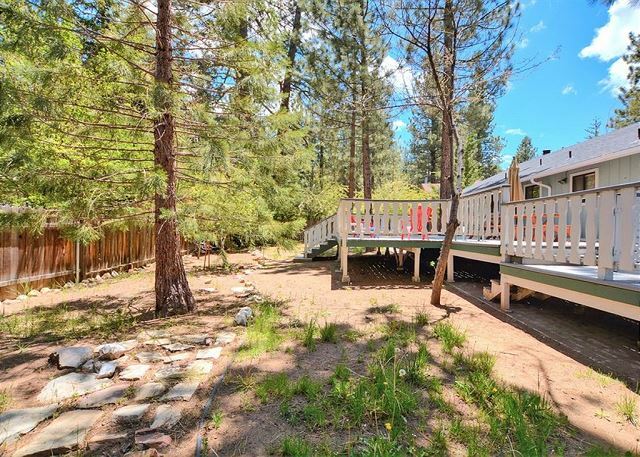 Close to SKI SLOPES (Next to Ski Shuttle Stop) LAKE Bright, beautiful vacation home with NEW HOT TUB! 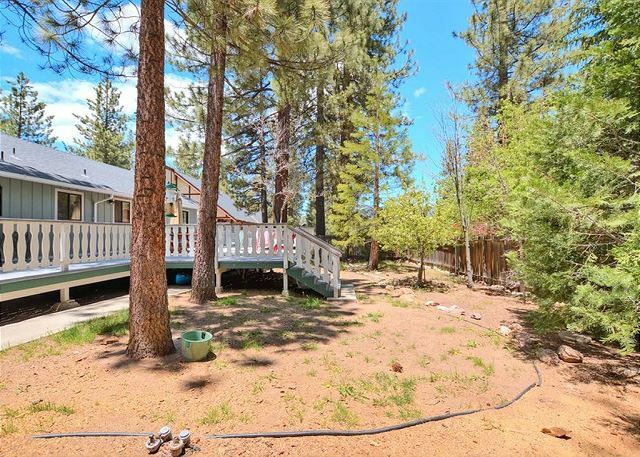 CLOSE to LAKE, VILLAGE and SLOPES! 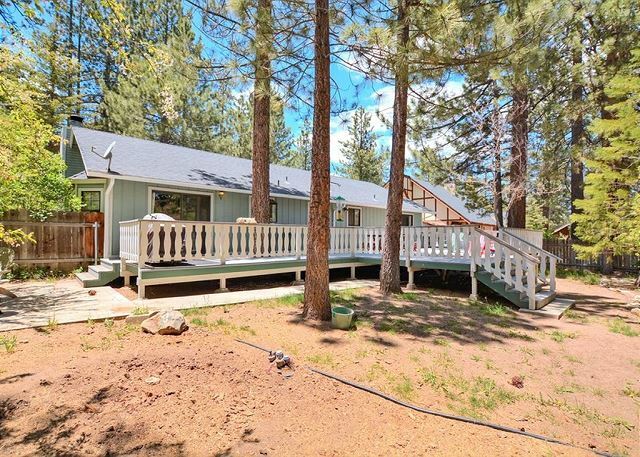 Enjoy this wonderful home / cabin in close to Big Bear Lake & Summit Mountain, nestled in Pine Trees and close to the Village and Lake! Excellent Location. HOT TUB. 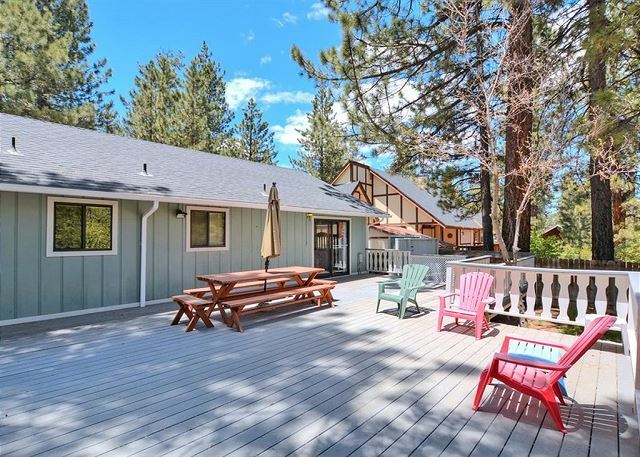 Beautiful cabin with plenty of amenities to enjoy. Excellent LOCATION! 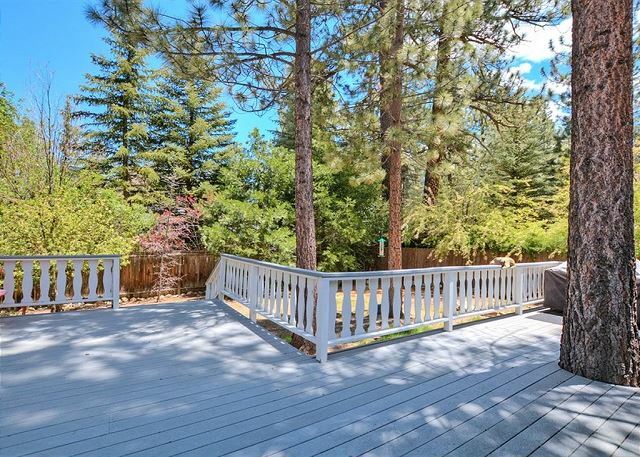 Steps (3 houses away) to Ski Shuttle Drop Off for SUMMIT SKI SLOPES. Less than 1 mile walk to the Lake and the Village! 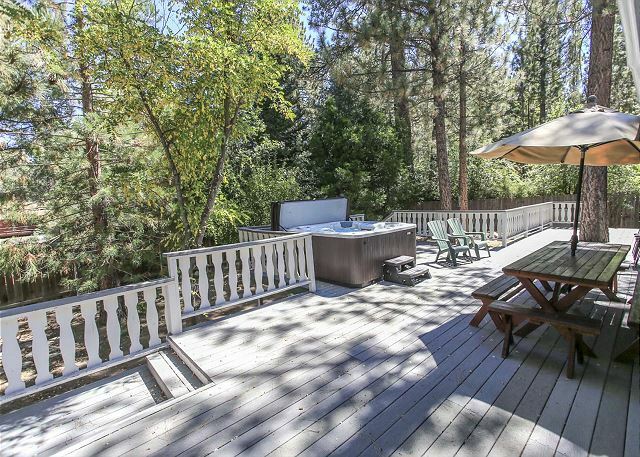 Relax beneath the pine trees on this spacious outside deck with BBQ, and more. NICE! 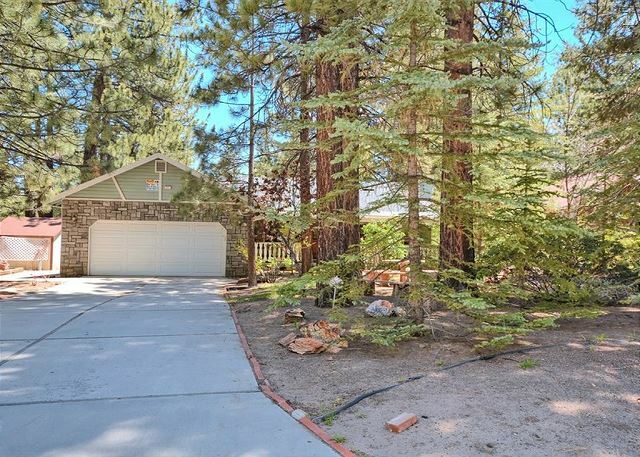 Spacious, luxuriously decorated throughout, bright, open floor plan with plenty of space for all. Enjoy a large open and spacious dining room with seating for up to 11 guests. Great for holidays! Cook in your open Great Room kitchen while enjoying the family and friends, connecting to living area. 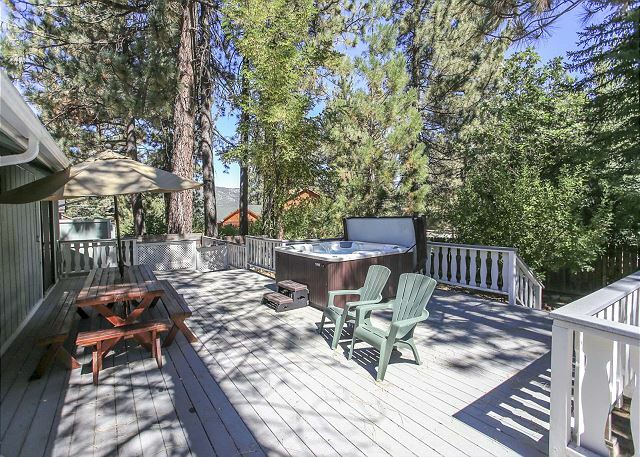 Relax on your 1000 square foot deck, with NEWER HOT TUB, great for everyone, with outside dinning and large professional grill and deck chairs to have morning coffee, lunch or evening dinner! 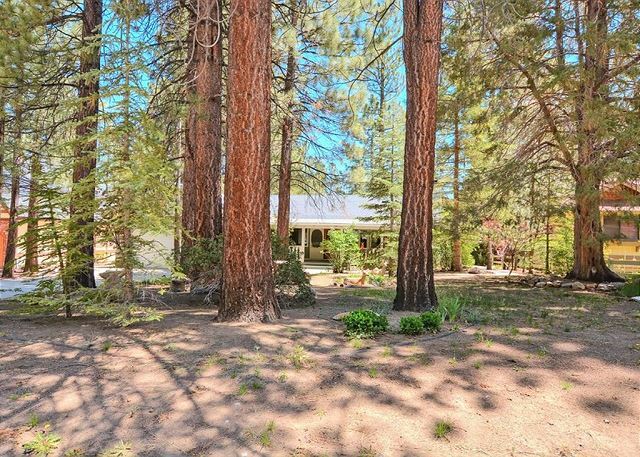 Surrounded by the beautiful pines! All homes come with fresh towels and fresh linens and plenty of cozy blankets. Our dedicated cleaning crew has prepared this vacation home for your arrival and will clean upon your departure. PET FRIENDLY ($35 pet fee) please bring a pet bed to keep pets off furniture. We succeeded in escaping the daily city metro environment with short drive to a mountain retreat. The home was spacious and easily was able to accommodate 2 familys. The jacuzzi was great and the back/front yards allowed the kids plenty of room to have fun in the snow. 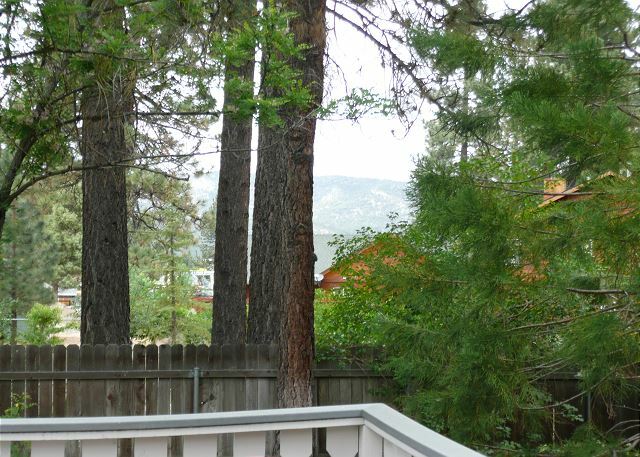 It’s centrally located a short distance to The Village, Bear, and Summit. 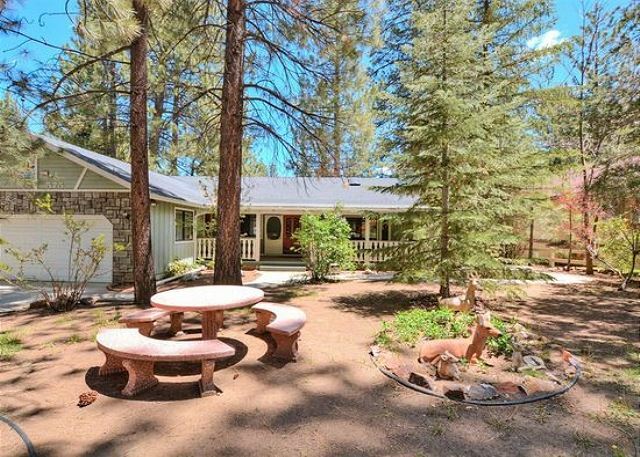 It was was in a great location, the cabin was perfect for the number of family members. I loved how big it was, the dining area and livingroom was big, open! It was a great experience. 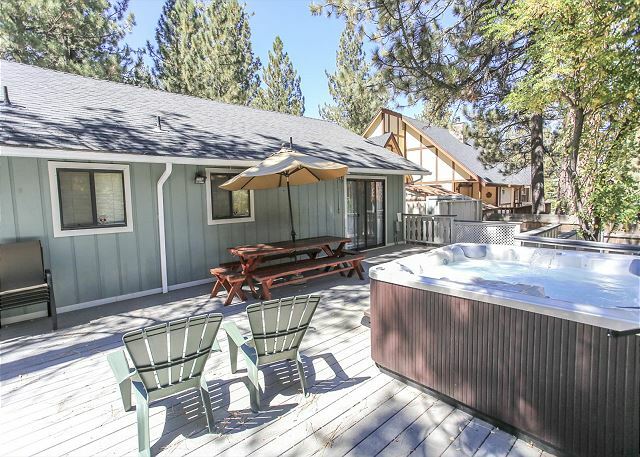 We had an amazing relaxing stay at Summit Chalet. We went the weekend after thanksgiving to celebrate our dads birthday. The house was comfortable, clean and very cozy. The front and backyard were very big and completely covered in snow. The kids and had a blast playing in the snow and building a snow man. We didn’t have to go anywhere for them to enjoy the recent snow fall. Close to the village and snow summit, we would definitely stay there again. The "Summit Chalet" was everything we hoped it would be, it is well kept, well supplied and very comfortable, my family was very happy. We WILL be returning! My family and I loved the place. There was plenty of room for everyone. 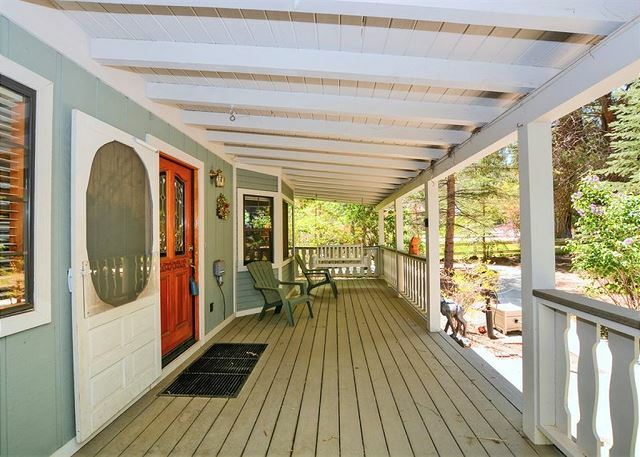 My favorite part was the hot tub under the stars and the swing in the front porch. Very beautifully decorated home. Really comfortable and cozy. Had everything we needed. Kitchen had all the untensils we needed. Definitely would stay here again. All my guest loved it. As s family we so enjoyed our Thanksgiving holiday at the Summit Chalet. Centrally located to village, zoo, even drove to Santa's Village. Large living area really helped along with the bunk beds for the kiddos. Long tables inside and out. Jacuzzi a hit as well as the front porch swing. . I would perhaps recommend more silverware and a few games to play. Loved our time.